With Matt Damon’s title character leaving the series, how will The Bourne Legacy do with a new hero? The Bourne Legacy focuses on Jeremy Renner’s character, Aaron Cross, a trained agent for a top secret operation. Once government officials try to assassinate all agents he teams up with a geneticist, Dr Marta Shearing played by Rachel Weisz. Together they must avoid being eliminated while struggling with Cross’s dependence on a training drug. 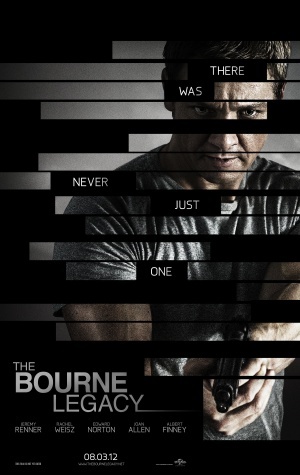 This film sees Renner’s Cross as a more receptive individual to others than Damon’s mind numbingly serious Bourne. 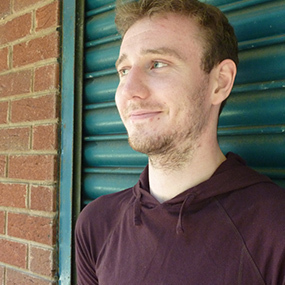 When asked how he knows he’s not being evaluated, Cross replies mischievously: ‘Maybe I don’t care.’ Renner’s provides raw electricity to his performance which results in an emotionally open character. This emotion in turn makes a big impact on the film’s tone, as while being morally courageous like Bourne, he is also more accessible for the audience for his playful yet disgruntled outlook. However it’s evident the filmmakers don’t want us to forget Bourne for one moment. Every few minutes Bourne is mentioned, his photograph is shown or his name is etched on a bed frame. With this, we get the well-known series faces, Pamela Landy and Albert Hirsch, although oddly they are used to their bare minimum. In film, scientific labs have never been more intriguing with Rachel Weisz portraying a geneticist excellently using her intellect rather than her brawn while being suitably terrified. She also steers the Bourne series down the increasingly popular pharmaceutical route (see Side Effects and The Constant Gardener) while acting as a clever device to aid the all conquering, but not so DNA-savvy, hero. The direction by Tony Gilroy is beautiful, intertwining quiet flashbacks of characters lives with present day action sequences. Gilroy uses intense close ups and action panning shots to create a more realistic feel; in particular look out for Renner’s climb of a building ending with a gunshot. The Bourne Legacy is a confident next step in the Bourne series with an over-played reference to Jason Bourne, and long-running characters being underplayed, the only minor criticisms. Despite these annoyances Renner has proven a strong successor to Damon with the film having a similar set up but a refreshed perspective on the franchise.